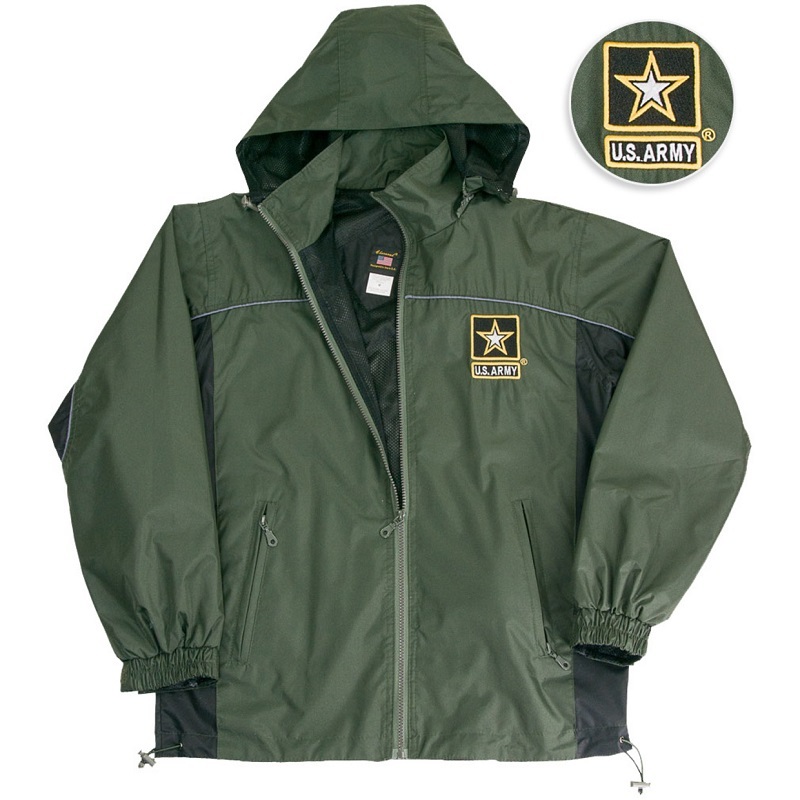 US Army Windbreaker Jacket. Removable hood. Drawstring waist.